37 weeks – still pregnant, again! Well if I wasn’t sure I’d get to write last week’s post, I definitely didn’t think I’d get to write this week’s! We appear to have somehow got to the start of 38 weeks. I feel this is quite an achievement for twins. I’m pretty desperate for them to arrive now though. They will be well and truly developed, and we’re only about two weeks earlier than when the boys were born at 40 weeks. I’m still holding out for a natural birth, even though we don’t have long left, because I know my body can do it and the thought of surgery I find pretty scary. But I know that there’s always the possibility that this is for the best, so of course I am willing to go down that route if needed. I was supposed to have a c-section booked for early this week, and I was in the room when the consultant rang the booking office to request a date over two weeks ago. But when I’d heard nothing by Monday earlier this week, I rang up to see what was going on. In a moment very much like the Little Britain sketch “compu’er says no”, the receptionist I spoke to said there was no record of my name or number on the system for c-section bookings. Gotta love the NHS for admin efficiency! In this case I’m actually not bothered, because it’s given us an extra week to wait for them to arrive spontaneously. But what would have happened if I didn’t chase it? Would I just have been left to my own devices until I turned up in labour, whenever that might be? 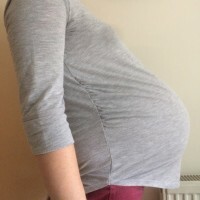 Thankfully I’m clued up on the risks of later pregnancy with twins, and what to look out for in terms of reduced movements and rising blood pressure, but would everyone be the same? She said that she’d ask one of the midwives what to do, and I made sure she knew it was twins and therefore she may need to speak to the twins specialist midwife or consultant. I’d still not heard back by the next day, so I tried to chase it, but couldn’t get through to the antenatal clinic where I’d spoken to the lady the day before. Eventually, later that morning, whilst I was in the swimming pool, I got a call and then voicemail from one of the twins consultant’s secretary, saying she had a date and could I ring her back to find out what it was and other details. So I did, and was pleased that it’s not until Tuesday, which is 38 weeks and 4 days, so that still gives the twins time to come on their own. I haven’t yet had any signs of labour, but then I never do get much warning, so it’s perfectly possible that they will be born this weekend. I’m doing as much walking as I can manage, in an attempt to bring on labour. It’s fairly uncomfortable on my hips – not really pain, just pressure. I’m also eating large amounts of pineapple, which might help the cervix to soften, but I would probably have to eat even more than I am for a real effect. I love pineapple anyway though. I’m bouncing on my birth ball when sitting down, and spending as much time as possible on all fours with my arms over the birth ball for support. Both of these positions are supposed to help. Of course I don’t actually have to have the c-section on Tuesday at all – I could “wait it out” for longer. The consultant had said that this would involve daily trips to the hospital for monitoring, though as I said, goodness knows who in admin would actually follow up on that, but for my own peace of mind I think I’d want to anyway. However, I’d also experience anxiety and high blood pressure every day at the hospital, which isn’t good for me or the babies, so I’m not sure overall that this would be a good idea. They might even insist I stay in with high BP, which I would really hate. I feel like we’ve come so far, and the icing on the cake for waiting this long would be the natural birth that I’d really like to have, so why just cut off at 38+4? But equally I have a sense that if they haven’t come spontaneously by then, then it’s probably not meant to be, and I’d rather have a calm, planned c-section than an emergency one once I’m in labour. Maybe the breech position of twin 1 would require intervention, and the bigger they get, the more likely this is, even though I believe it is perfectly possible to birth a breech baby, particularly with the help of skilled doctors and midwives at our hospital who are used to assisting delivery of breech twin 2s. It’s still very much not in my hands, and I trust that the right birth will happen at the right time, even if I still don’t know what that is! 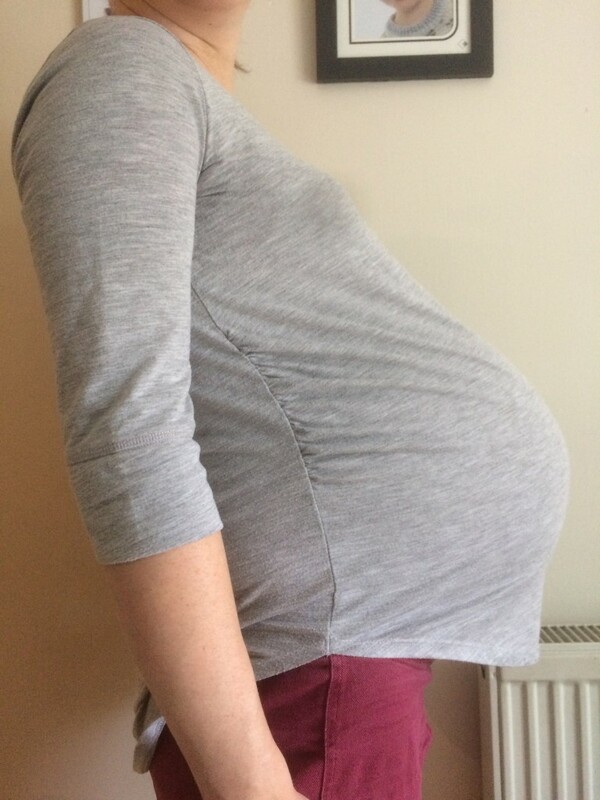 Previous Previous post: 36 weeks – still pregnant!